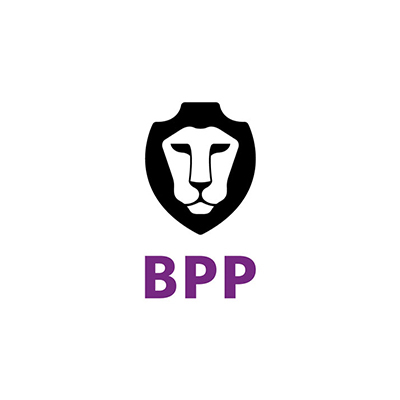 BPP University is a private University specialising in Law, Business Finance & Accountancy. 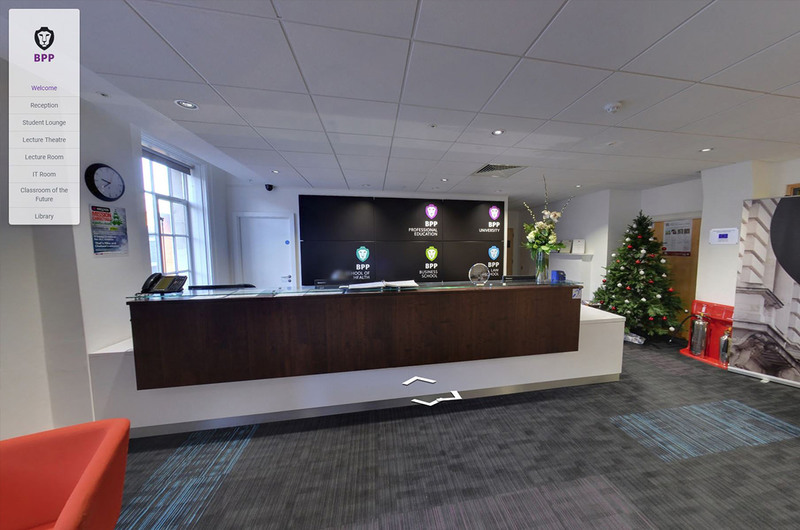 We worked with BPP to capture the campus at several locations across the country. 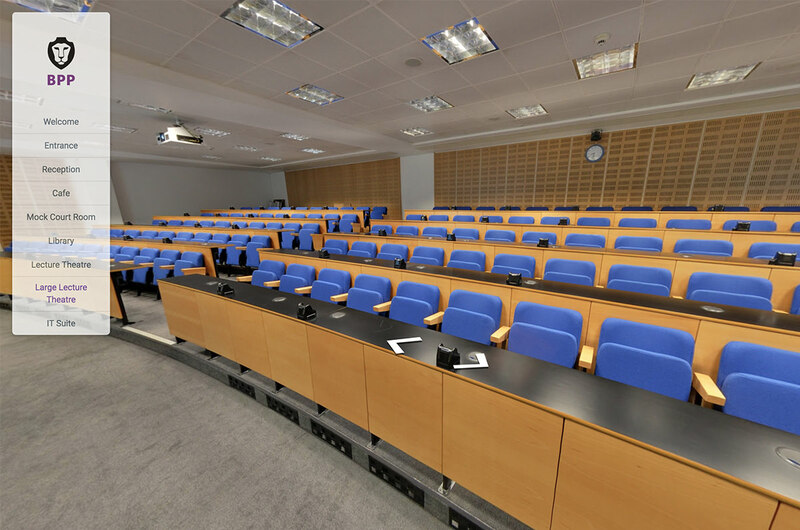 The menu system allows you to jump to specific rooms, whilst the arrows allow you to explore, much like you would as a student.